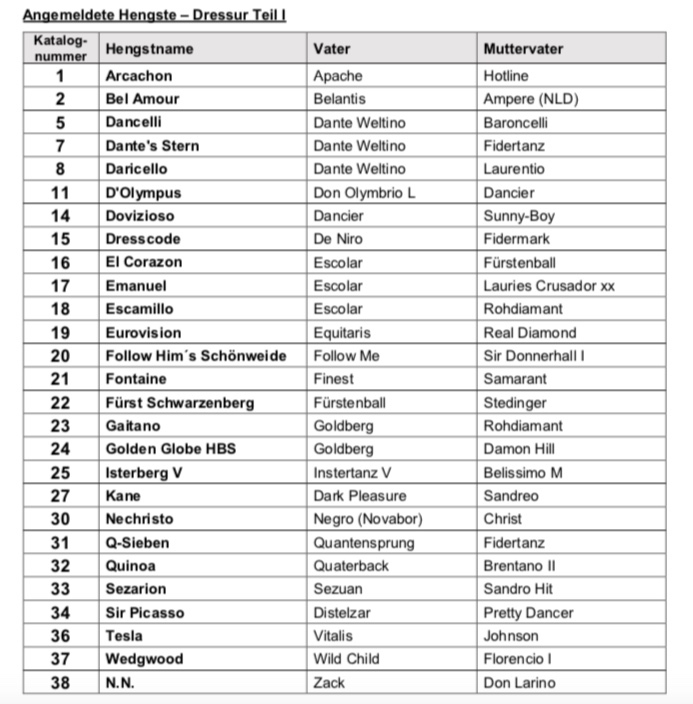 A quick view of the list shows some very interesting young stallions, such as Escamillo with Timo Kolbe and Tesla with Helen Langehanenberg. Tesla did his 14-days test last year in Schlieckau with a very disappointing result in dressage with just 7,71. Just an outstanding stallion from the NRW licensing and for sure one the keep an eye on with owner Langehanenberg in the saddle. Among the 5 year old the Helgstrand Dressage stallion Jovian with Eva Möller in the saddle will for sure be interesting to follow. They came 2nd in the prestigious Pavo Cup in 2018. Here you find the entire catalog. Older PostDo you remember which young stallions to keep an eye on for KWPN licensing?